Following the South African Cabinet's approval of the White Paper on immigration changes, lawmakers have started to draft legislation that is expected to amend and create new immigration policies. The White Paper was drafted in response to the public comments on the policy paper that proposed reviewing the immigration system. It provides direction for the drafting of the new and amended regulations and sets the tone for the government's long-term strategy for immigration. Following the South African Cabinet's approval of the White Paper on immigration changes, lawmakers have started to draft legislation that is expected to amend and create new immigration policies. This legislative process is expected to be concluded by March 2019. The White Paper, which was drafted in response to the public comments on the policy paper that proposed reviewing the immigration system, provides direction for the drafting of the new and amended legislation and sets the tone for the government's long-term strategy for immigration. The White Paper states that nationality as a basis for visa exempt travel to South Africa is no longer sufficient and envisages the implementation of at-risk based profile screening. This could mean an end to the system where foreign nationals from certain countries could merely arrive at a port of entry and receive either a 90- or 30-day visa for holiday and business. The points-based system, which was suggested in the original policy paper as a determining factor for the granting of long-term work visas, is suggested in the White Paper to be used to determine whether an applicant would qualify for a short- or long-term residence visa. The paper does not explain the practical implications of this suggestion. Permanent residence is to be replaced with a residence visa for defined purposes. Although such a visa would be issued for longer periods and would be renewable, it would restrict activities based on the purpose of the visa and would be subject to review by the government on a regular basis. There are multiple suggestions for an improved general emigration policy with an aim to retain ties to the South African diaspora. This ranges from mandatory registration to re-integration programs. Lastly, the White Paper calls for stronger enforcement of labour and immigration laws with a view to combat illegal migration that is indirectly supported by employers hiring cheaper foreign labour. The paper mentions a trusted employer system. This would mean some form of vetting of employers to ensure their legitimacy. If the White Paper recommendations are implemented into law, employers could see more objective criteria to determine whether or not a work visa is granted to a foreign national. A points-based system combined with a trusted employer program could lead to more certainty and a more streamlined process. Foreign nationals might be subject to more stringent travel requirements and those currently exempt from visa control may have to apply for a visa prior to travelling. With increased use of technology and better border management systems, the visa application and port of entry admission process would be more streamlined. A trusted traveller program would bring relief to frequent travellers and ease business travels for many. The elimination of permanent residence as an option to foreign nationals that intend to settle in South Africa may inconvenience many but is in line with general policies and developments on the African continent. 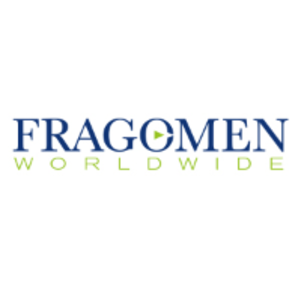 Fragomen Africa is closely monitoring the progress of the White Paper and the related legislative actions, and will provide appropriate updates they become available.